Gallaher was one of the largest tobacco companies in the world. Thomas Gallaher (1840 – 1927) was the son of a prosperous Protestant miller who owned the Templemoyle Grain Mills in Eglinton, Londonderry, Northern Ireland. Gallaher served an apprenticeship with Robert Bond, a general merchant on Shipquay Street, Londonderry, in the early 1850s. Gallaher borrowed £200 from his parents and opened a tobacconist business at 7 Sackville Street, Londonderry, in 1857. He manufactured and sold Irish roll pipe tobacco. The expanding business was relocated to Belfast from 1863. A five-storey factory employing 600 people was built at York Road, Belfast in 1881. A factory was opened at 60 Holborn Viaduct in London in 1888, followed by a Clerkenwell factory a year later. The firm was converted into a limited liability company with a capital of £1 million in 1896. A new £100,000 factory across seven acres was opened in Belfast in 1897. It was probably the largest tobacco manufacturing plant in the world. Park Drive, a machine-made cigarette brand, was introduced from 1902. Thomas Gallaher declined to join the great tobacco combines of the age, Imperial Tobacco and the American Tobacco Company, and consequently he controlled the largest independent tobacco company in the world by 1903. Gallaher bought his raw materials directly, and by cutting out the middleman he was able to keep his costs low. He was the largest independent purchaser of American tobacco in the world by 1906, and bought only the highest grade of crop. The atmosphere at the Belfast factory was described as familial. Midday meals were served at cost-price. Gallaher was the first man in Belfast to reduce working hours from 57 to 47 a week. The company employed 3,000 people by 1907. Gallaher acquired the six acre Great Brunswick Street premises of the Dublin City Distillery for £20,000 in 1908. There, he built a large tobacco factory. At York Street, Belfast, Gallaher established what was, by 1914, one of the largest tobacco factories in the world. The company also owned extensive plantations in Virginia. Gallaher continued to work at his desk every day until a few months before he died in 1927. He was remembered as a courteous, kindly man, a generous employer, and an extremely talented businessman. His plain ways endeared him to people. He left an estate valued at £503,954. The company was principally inherited by his nephew, John Gallaher Michaels (1880 – 1948). Michaels had worked for his uncle for many years, and had been manger of the American operations. The Constructive Finance & Investment Co, led by Edward de Stein (1887 – 1965), acquired the entire share capital of Gallaher for several million pounds in 1929, and offered shares to the public. Why Michaels divested his stake in Gallaher remains unclear, but he, his uncle and his brother all lacked heirs, so perhaps he simply wished to retire and pass on management of the company to others. A new factory was established at East Wall, Dublin for £250,000 in 1929. The East Wall factory was closed with the loss of 400 jobs, following the introduction of a tariff on businesses not majority-owned by Irish residents, in 1932. Imperial Tobacco acquired 51 percent of Gallaher for £1.25 million in 1932. Gallaher retained its managerial independence, and the Imperial Tobacco move was executed with the intention of blocking a potential bid for Gallaher from the American Tobacco Company. Gallaher was the fourth largest cigarette manufacturer in Britain by 1932. Gallaher acquired Peter Jackson in 1934. The firm manufactured Du Maurier cigarettes, which was the first popular filter-tip brand in Britain. E Robinson & Son, manufacturers of Senior Service cigarettes, was acquired in 1937. Senior Service had been highly successful within the Manchester area, but Robinson’s had lacked the capital to take the brand nationwide. J Freeman & Son, cigar manufacturers of Cardiff, was acquired in 1947. Gallaher acquired Cope Brothers of Liverpool, owners of the Old Holborn brand, in 1952. Benson & Hedges was acquired, mainly for the prestigious brand name, in 1955. Gallaher sales grew rapidly in the 1950s. Senior Service and Park Drive became respectively the third and fourth highest selling cigarettes in Britain in 1959, by which time Gallaher held 30 percent of the British tobacco market. Gallaher acquired J Wix & Sons Ltd, the fast-growing manufacturer of Kensitas cigarettes, from the American Tobacco Company in 1961. The Imperial Tobacco stake in Gallaher had been diluted to 37 percent by 1961. Gallaher claimed 37 percent of the British cigarette market by 1962. 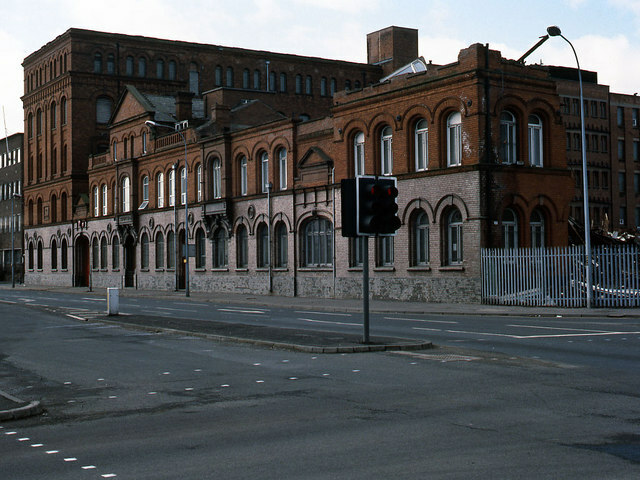 A large factory was established at Airton Road, Dublin in 1963. Silk Cut was launched as a low-tar brand in 1964. Company president Sir Edward de Stein died in 1965. Gallaher employed 15,000 people in 1965, and had an authorised capital of £45 million in 1968. The company held 27 percent of the British tobacco market in 1968. The Belfast factory was closed in 1988. 700 jobs were lost, and production was relocated to Ballymena in County Antrim. A cigar factory in Port Talbot, Wales was closed with the loss of 370 jobs in 1994. The Manchester cigarette factory was closed in 2000-1. Nearly 1,000 jobs were lost. Production was transferred to Ballymena, where 300 extra jobs were created. Japan Tobacco acquired Gallaher, by then the fifth largest tobacco company in the world, for £7.5 billion in cash in 2007. Ballymena, the last remaining tobacco factory in the UK, was closed in 2017, with production relocated to Eastern Europe. 860 jobs were lost. Japan Tobacco holds 40 percent of the British tobacco market as of 2018.